Williamson Lane: Happy Birthday Karis!! 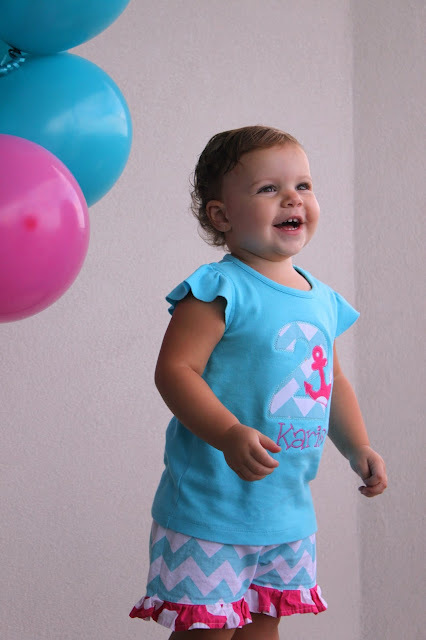 Today, my precious Baby Girls turns 2 years old...and thus starts Karis Week here on the blog. Happy Birthday to you, my precious Baby Girl! Two years ago today, you came into our lives and turned things upside down. You shattered my heart wide open, overflowing with love for you. These past two years have been the best of my whole life, and it is my absolute honor to call you my Baby Girl. You are the most fun, and joyful little girl I have ever known. You have a way of making even the most minute things seem fun and magical. You find joy in the smallest parts of life...and have taught me so much about doing the same. It is my joy to spend my days with you. Remember even the little things. I love to see the world through your eyes. Your innocence is such a gift. There is no judgement in your glances. You see people for who they are. There is no difference in color. There are no special needs. There are no lines of politics, religion, social class. People are people, and you love them just the same. You love to have fun! And you tend to be the life of the party, no matter where we are or who we are with. People are drawn to you. As you grow older, you will grow to have influence over others. This is a big responsibility. Don't take it lightly. Be yourself. Don't ever forget who you are. You are kind and compassionate. You don't like to see others hurting. Your heart is SO big and you find joy in sharing with others. As your Mama, this brings me incredible joy. You are quick to share love and that is a gift. Don't forget the joy that comes from giving. Every day brings something new for you. Every day is an opportunity. An opportunity to grow, to learn, to teach, to love. Embrace these opportunities. And thrive. You are so beautiful. I love your big brown eyes and your sweet curls. Your smile is huge and contagious. Your laugh is among the sweetest sounds in the whole world. We hear from strangers all the time how beautiful you are, and we appreciate it so. But you are even more than that, Baby Girl. You are so much more. Your beauty is so much more than what is seen on the outside. You are such a good Big Sister to Jack. I know that you love him so fully and you show that every day. He loves you too, Sweet One. Know that Mama sees your love for him and it makes my heart swell. He will always be around, so continue to be nice to him. When he's older, he will be your protector as well as you are his. He is the only one in the world with whom you have this special bond. Don't take him for granted. Karis, you are so much more than I could have ever wanted. Had I been given the chance to pick out all the little details to create you, I would have messed up. You are so much more than what my brain could have imagined. You are so much better. I am thankful to have you in my life. Every. Single. Day. I love you so much, Baby Girl. Today, we celebrate two years of your life, but I am grateful that I get to celebrate life with you. Every. Day. Aww. I love this! Karis always has the best outfits too!